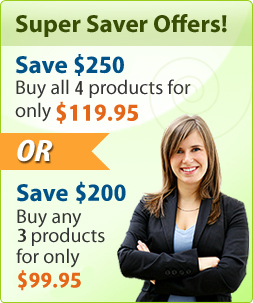 Earn a whopping 20% commission for every piece of software you sell. Quick Article Pro is a high quality product that helps even novice users turn out great designer logos. Sales are doing well and now you can share in the profits without paying a single cent. We pay you at-least 20% commission on all sales. Attractive Sales Incentives: If you sell more than $400 worth of software per month you get an even higher commission, see the chart below. Earn Commission for up to 90 return days for all visitors i.e. if the visitor decides to purchase within 90 days of their last visit from your website, you'll still earn commission on the sale! Our dedicated affiliate management team is available to assist you with any needs or requests you have, simply contact us with any questions. It is simple, quick, and easy to set up links on your website. You just have to copy and paste! Have access to top quality banners and marketing material – our material is well designed and persuasive, just what the doctor ordered. The Quick Article Pro Affiliate Program is FREE! You don’t pay anything to become our affiliate. Joining our affiliate program is very simple. All you need to do is become a member of ClixGalore. To sign up for a free ClixGalore Account, Click Here. If you are already part of ClixGalore, login now and search for Quick Article Pro . ClixGalore will track all affiliate sales for you and email you every time you make a sale! 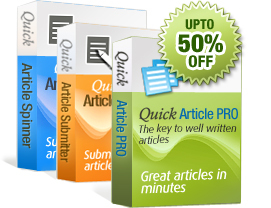 In ClixGalore control panel, you will have all of our relevant information with which you would be able to begin the promotion of Quick Article Pro . How can I contact you for affiliate help? You can reach us at affiliate@quickarticlepro.com. We will respond to your request within 24 hours. promotional campaign, we put a cookie in their browser. If a purchase is made within 90 days of clicking that link, you get 20% of that sale. Can I place links in an email? Yes. You can market your links however you wish. The more people that see and click your links, the more sales you make and the more money you earn! All affiliates are paid through ClixGalore and are provided with Real-Time statistics. ClixGalore is used by thousands of online merchants and affiliates! How much does it cost to become a Quick Article Pro Software affiliate? Nothing! There are no setup fees, no sign-up fees, no application fees ... and no minimum monthly sales requirements. Do I have to be a registered Quick Article Pro Software user to be a affiliate? No. You may resell our products regardless of weather or not you're using our software! May I include specific information about your services on my site? Yes. But you should refrain from posting pricing and/or features unless you plan to keep your site updated regularly. Are there any sites that can NOT participate? Any restrictions? distribution, cracks, hacks, warez and so on. And don't use spam to promote Quick Article Pro .